A random sampling of Berkeley, CA happenings reveals a little bit of something for everyone. Many students hang out on the lawn of the Berkeley campus, studying, chatting and planning their weekends. Berkeley business owners prepare their various goods and services – from an eclectic mix of foods to various baubles that are targeted at incoming tourists. The question is: what did you do with your week? If you decided to kick back at home maybe you had the chance to take stock of exactly what condition your living space is in. Actually, we’re talking about available space, as in, how much do you have? Could it be that you’ve become overwhelmed and overcrowded with unwanted junk. Perhaps your Berkeley weekend activity could be a complete overhaul of your home, garage, attic and closets. Might not be as fun as a night out at some Berkeley bars, but you’ll be guaranteed a reward and that would be with all those new wide open spaces. Let’s face it; the most common excuse for not getting rid of all your old junk is you don’t have the manpower or the transportation. That’s why you should think about tapping into a local Berkeley hauling crew like Junk King to help you get rid of all that junk. This is a professional team of haulers who who is accustomed to efficiently move junk out of homes. What could be on your list of “junk that should be gone?” Are you holding onto some old bed frames that will never make it back to a bedroom? Do you have pieces of furniture that you would be too embarrassed to even donate to the Salvation Army? Maybe you’ve even got a warped sounding piano that has outlived its usefulness in your home. Those are pretty big pieces to move around and that’s why you should bring in the pros to handle this score. The other benefit from hiring professional movers is that they’ll have the trucks to haul this stuff away. What are your options? Break that ratty sofa down into a million pieces and haul it off one SUV trunk load at a time? Would you even know where to take this junk? You might be surprised at how far out of Berkeley you would have to go just to dump your trash. Is that how you really want to spend the weekend? Instead, slap a post-it note on every item you want taken away and let the professional hauling crew do the rest. 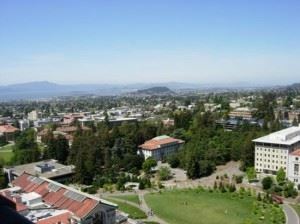 They’ll have your place cleared of junk in no time and you can get out to enjoy all that Berkeley, California has to offer. This entry was posted in Berkeley Hauling, Berkeley Recycling, Junk King Alameda and tagged Berkeley Events, Berkeley Hauling, Berkeley Hauling Service, Berkeley Junk, Berkeley Junk Removal, Berkeley Recycling, Berkeley Trash Disposal on June 1, 2011 by Junk King. Last updated August 4, 2017 .